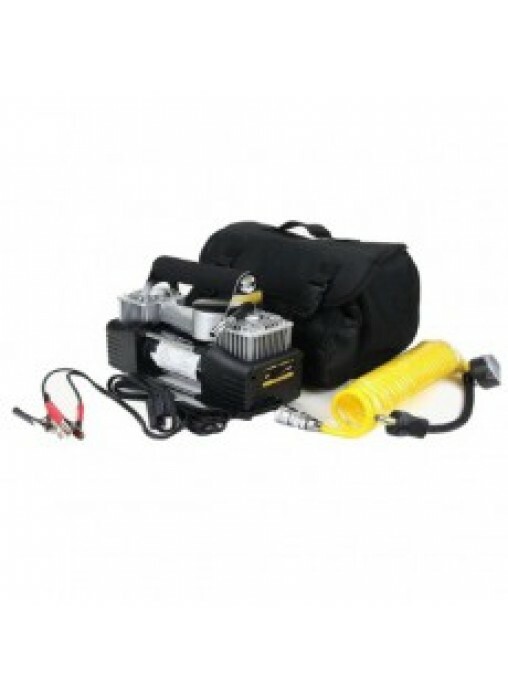 12V portable twin piston air compressor. 150PSI maximum inflation. 13.8V maximum voltage. 23A maximum current. 5M coily air hose with pressure gauge. 3M Flying lead with croc clips. 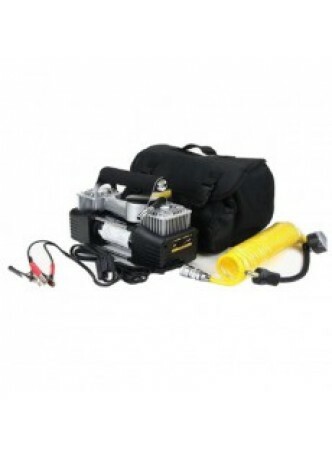 65 L/pm output - inflates a normal car tyre in under 3 minutes. Maximum duty cycle 40 minutes with thermal cut-out protection. Accessories include 2 nozzle adaptors, 1 sports needle and a robust carry case. L 24.5cm x W 9.5cm H 20cm.